It’s been a long hot wait for fans of the Sundance Screening Room Series, which brings foreign, documentary and independent films to Sundance Cinemas on a regular weekly schedule. The last Screening Room calendar ended in late April, and while you can’t begrudge a theater for wanting to sell those “Guardians of the Galaxy” tickets, at some point between “The Giver” and “Sin City: A Dame To Kill For” getting booked there, it seemed like it was high time to get back to the Screening Room. Thankfully, the series will fire up again next week, presenting nine films between Sept. 12 and the end of October, including some films that indie fans have been waiting for for months. The Screening Room films are all exempt from the Sundance amenities fees, and I’m happy to say that Sundance has invited me back to do some post-show talks after a couple of the films. I’ll let you know soon which ones and when. Sept. 12 — “The Trip to Italy” — My report from the Sundance Film Festival is here. 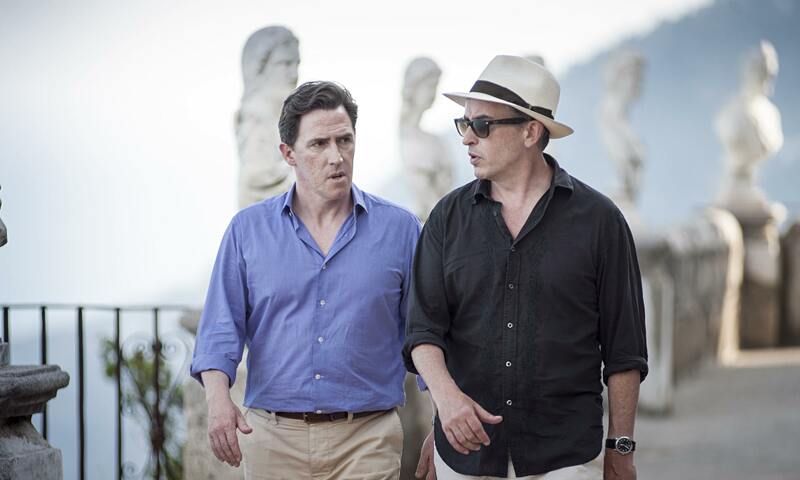 After the riotous “The Trip,” British comedians Steve Coogan and Rob Brydon return for another go-round, this time tooling around Italy sampling food, musing on mortality, and, of course, trading Michael Caine imitations. Sundance is expecting such a good response that they’ve automatically booked “The Trip to Italy” for a two-week run. Sept. 26 — “Alive Inside” — This inspiring documentary looks at how music has the capacity to reach and connect with people thought lost to the outside world, including stroke victims and Alzheimer’s patients. Sept. 26 — “Pay 2 Play” — This political documentary looks at how the current American election system requires so much fundraising and spending that voters end up facing the same sort of limited, deep-pocketed candidates at the ballot box. 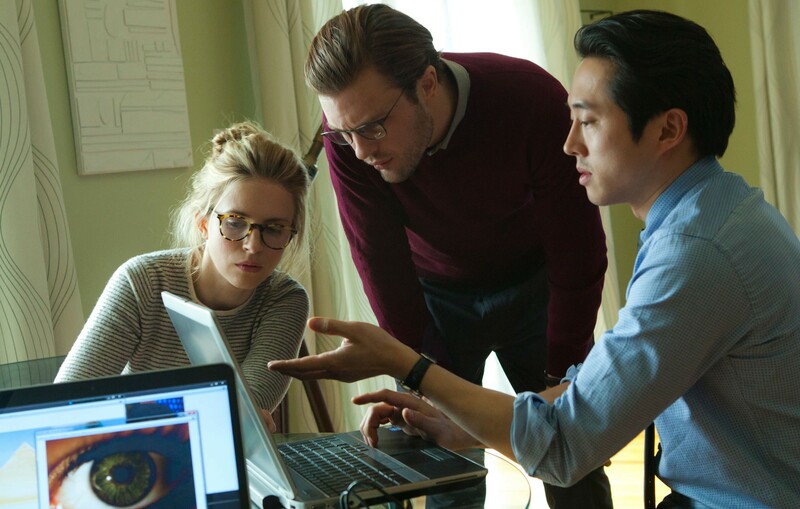 Oct. 3 — “I Origins” — Director Mike Cahill and screenwriter-actress Brit Marling, who created the indie sci-fi hit “Another Earth,” starring Michael Pitt as a molecular biologist who makes a stunning discovery. Oct. 3 — “Land Ho!” — My report from the Sundance Film Festival is here. One of the nicest surprises for me at this year’s Sundance Film Festival was this charming comedy about two dissimilar codgers (Paul Eenhoorn of “This is Martin Bonner” and non-actor Earl Lynn Nelson) who take a trip to Iceland on a whim, and find there’s still life in the old dogs yet. Oct. 10 — “Wetlands” — A teenage girl sets out on a rather explicit journey of self-discovery in this graphic but oddly sweet German comedy that was the talk of this year’s Sundance Film Festival. Oct. 17 — “Rudderless” — William H. Macy’s directorial debut is this drama about a grieving father (Billy Crudup) who finds his musician son’s old demos and reconnects to him by learning the songs himself. Oct. 24 — “Listen Up Philip” — Director Alex Ross Perry (“The Color Wheel”) returns with this acerbic comedy starring Jason Schwartzman as a self-obsessed writer who doesn’t let success distract him from his own misanthropy. Oct. 31 — “2014 Sundance Film Festival Short Film Tour” — Short film fans rejoice, as some of the best shorts from this year’s festival are collected in one place.